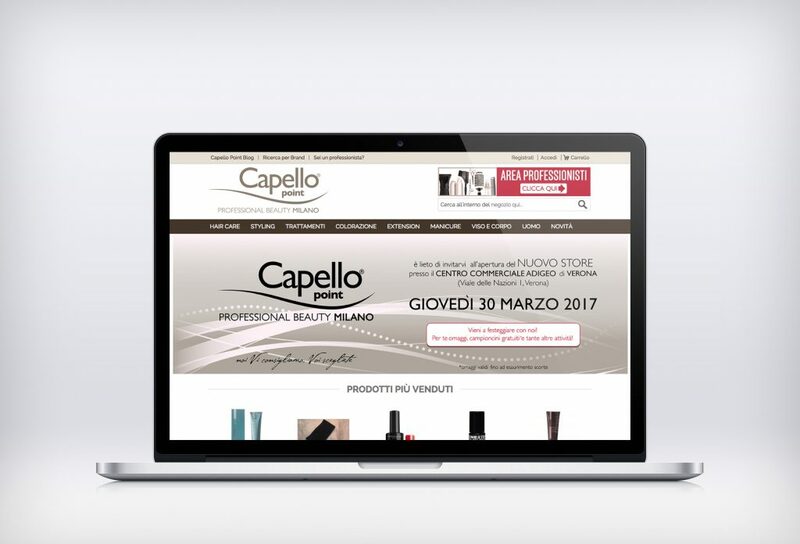 After a deep analysis of the website and its users statistics, I developed a web marketing program for the www.capellopoint.it shop developed in Magento CE. The proposal included a lot of technical improvements in order to speed up the website and several changes to the design in order to simplify user’s navigation, reducing the steps to got to the right product. During the first months I reduced the TTFB from 2,0 seconds to less then 0,2 seconds, playing with full page caching and modules optimisation. Frontend had been optimized too, reducing the total loading time from more then 8 seconds to 3 seconds. Improvements covered the general marketing activities like Email Marketing (migrated to Mailchimp with which we introduced automated re-marketing campaigns), Facebook and Google Advertising. Periodic promotions had been used to subscribe new customers to the mailing lists. CTR improved and with it customer rating. Along the first 18 months we obtained a 240% increase in monthly turnover.